The 4th annual Birdapalooza, a celebration of diverse birds and other wildlife that call Lake Apopka home, will be held on Saturday, February 6th at Orange County’s Magnolia Park. The free event will showcase the 20,000-acre Lake Apopka North Shore and “its unique habitat for hundreds of bird species and other wildlife,” according to county officials. The restoration of Lake Apopka, Florida’s fourth largest lake, continues to take hold. The Lake Apopka North Shore is one of Florida’s top birding destinations and has developed a national reputation among birding enthusiasts. More than 360 different species of birds have been identified in the Lake Apopka North Shore in recent bird surveys – more species than can be found at any inland site in the state of Florida. Rare and spectacular birds spotted at Lake Apopka include bald eagles, peregrine falcons, swallow-tailed kites, northern harrier hawks, great blue herons, green herons, snowy egrets, anhingas, ring-necked ducks and mottled ducks. 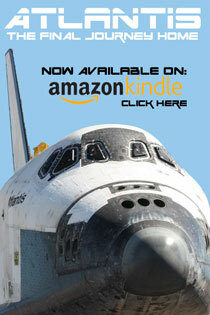 Other wildlife include alligators, turtles, otters, bobcats and coyotes. The free Saturday festival will take place from 9am to 4pm, with many activities planned throughout the day. The family friendly event includes many opportunities for fun and learning, including guided nature photography hikes, guided bus tours, guided walking and biking nature tours for children and adults on the Lake Apopka Loop Trail, entertainment by IBEX Puppetry, bounce houses, face painting, live animal demonstrations, tree giveaways, music, airboat rides, exhibitors, merchandise vendors and food trucks. On Sunday, registrants will be emailed the latest sightings and locations to find other unusual birds on self-guided tours. In addition to the free Saturday festival, Birdapalooza has added the Orange Audubon Society Friday Birding Festival to increase awareness of the excellent birding opportunities on the North Shore. The OAS Friday Birding Festival features three field trips – an all-day trip, a morning waterfowl ID trip and an afternoon raptor trip – for a small donation to support the OAS Nature Education Center Fund ($40 for full-day or trip combo; $20 for either half-day trip). The starting location for all three Friday field trips is the St. Johns River Water Management District’s Lake Apopka Field Station (25633 CR 448-A, Mt. Dora, FL 32757). Advanced registrations are required as each field trip is limited to 30 participants. At the Birdapalooza Saturday event, Orange County will also be hosting a special Adopt-A-Tree program. Trees will be available for free, one per person, first come first served. “Join your friends, neighbors, and birding enthusiasts as we celebrate Birdapalooza and the habitat that supports hundreds of bird species,” organizers for this year’s festival said. 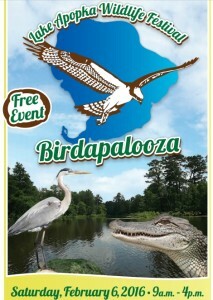 For more information, check out Birdapalooza online or on Facebook.